This plugin extend the RainLab User plugin to some new fields. Content Plus - Complete solution for Blog, News, Portfolio, Slideshow and Testimonials in one plugin. Many features and client-friendly interface. Backend Elite - Use amazing back-end features and fresh dashboard widgets. Gzip compression, CMS cleaner, right-click menu, etc. Hospitality - This is the complete hospitality plugin with booking table, quick reservation and menu features. Manage your restaurant or cafe easily. Backend Plus - Extend the back-end to some features and widgets. News & Newsletter - This is a simple news and newsletter plugin. Front-end Plugins - List of components which are use in front-end. 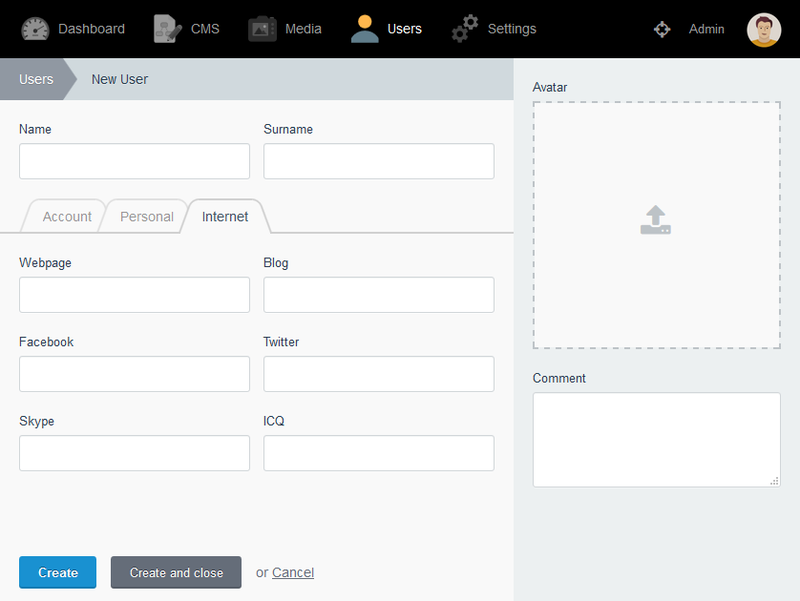 Quick Edit - Edit easily the CMS pages via dashboard widget. Popup Manager - Easy to manage popups and collect subscribers. Photography - Manage your photos and photo equipment easily. Go to the Settings > Updates & Plugins page in the Backend. Click on the Install plugins button. Type the User Plus text in the search field. Select the first hit in the list. Go to the Dashboard page in the Backend. Click on the Manage widgets > Add widget button. Select the User Plus widget from the list. Thank you for reporting this issue! I fixed it. Please update the plugin. The User plugin contains avatar. Would you like to add one more avatars? Can you please add support for avatars? No documentation about how to create a simple profile page, login and register page is given. Fixed the column check issue. Fixed the uninstall and update issue. Added new Telephone and Company fields. Remove the first and the last name. Added profile fields to users table. First version of User Plus.